A prolific display of brilliant, deep blue flowers from late winter through spring. Foliage also ornamental and is ideal plant for shady areas. 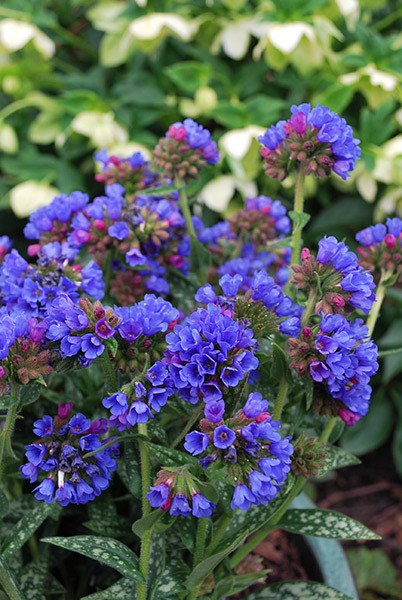 Easy to grow and ideal for containers or general garden use. Grows well in most soil types which are moist but well draining. Pruning generally not required although removing spent flower stems from the base will encourage further flowing and fresh new foliage. Mulch well to help retain moisture. Mass plant as ground cover for shady areas.